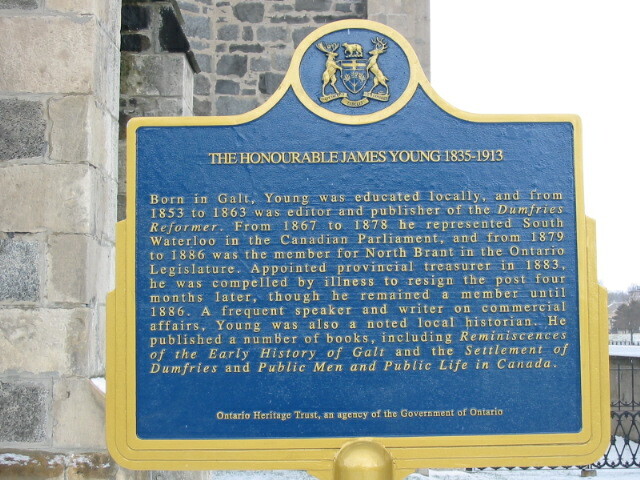 Born in Galt, Young was educated locally, and from 1853 to 1863 was editor and publisher of the Dumfries Reformer. From 1867 to 1878 he represented South Waterloo in the Canadian Parliament, and from 1879 to 1886 was the member for North Brant in the Ontario Legislature. Appointed provincial treasurer in 1883, he was compelled by illness to resign the post four months later, though he remained a member until 1886. A frequent speaker and writer on commercial affairs, Young was also a noted local historian. He published a number of books, including Reminiscences of the Early History of Galt and the Settlement of Dumfries and Public Men and Public Life in Canada.